This bike was part of our showroom /demo fleet and was never ridden only used for sizing purposes. They make ideal winter training bikes or an entry level Audax bike. We may have used frames where the paint finish failed our high level of QC, there will be no bare metal and your warranty is not affected, no scratch or imperfection will be bigger than a 5p coin. - Shimano Tiagra RD-4601 10 Speed Rear Derailleur - GS / Medium Cage. - Shimano BR-R451 Caliper Brake 57 mm Drop - Black - Rear. - Schwalbe Marathon Supreme Folding Tyre - 700 x 28 (28-622). - PRO Compact Anatomic Alloy Drop Handlebars - 31.8 mm Clamp - Black - 40 cm. 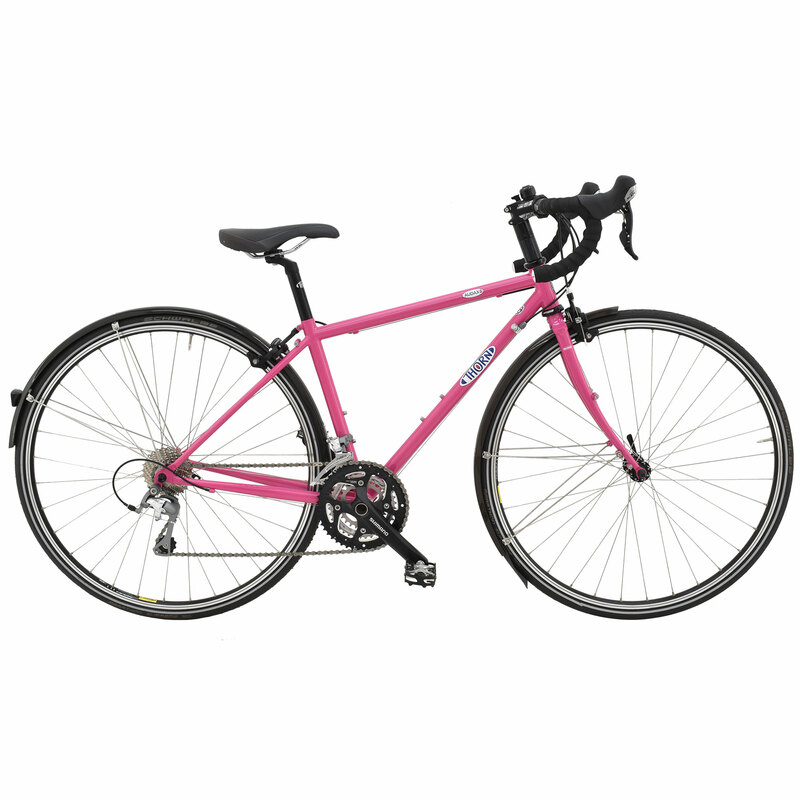 What size frame is the 495 fuchsia pink audax bike for £699? What size frame is the 495 fuchsia pink audax bike for £695 please? The frame is a 495S.